I want to share some thoughts with you on the important and timely topic “Development Landscape of Sri Lanka 2025”. In fact, had any of you the opportunity to visit the first “Enterprise Sri Lanka” exhibition in Moneragala, you would have had the opportunity to get an overview of the government’s Vision 2025. In recent times in Sri Lanka, the perception of development has become somewhat unclear. Development has become associated with ports, airports, expressways, power plants, and other mega infrastructure initiatives. If a port is built, which does not generate economic activity or an airport that does not attract any commercial flights, it may increase the GDP but that cannot be considered development. Development, to define succinctly, is the process by which a nation improves the economic, political, and social well-being of its people. I believe for a country to develop the two most important pillars on development that must be achieved are democracy, and for a country like Sri Lanka with a history of ethnic tensions, the pillar of reconciliation. Whilst there is a lot to be said about the gains in political freedom of citizens, as well as the governments’ commitment to create a truly multi-ethnic, multi-religious country, united in its diversity, I will focus today only on economic development. For this purpose, the primary barometers for economic well-being would be real wage growth and full employment. In today’s context, Sri Lanka no longer enjoys labour cost advantages since we have relatively high income levels – this is indeed a good thing. We also no longer have the fiscal space to invest public funds in large infrastructure projects. To illustrate this fact – in the year 2017, government tax revenue was Rs. 1,670 billion, whilst total debt service payment in 2017 was Rs. 1,603 billion. In the five years between 2010 and 2014 the average annual debt service payment was Rs. 990 billion. Compared to 2014, the annual debt service payment in 2018 has doubled. This year records the highest debt repayment since independence: approximately Rs. 1.9 Trillion – nearly 82% from the pre-2015 era. Therefore, it is clear that the government needs to undertake more difficult and challenging reforms in order to drive future economic growth and development. This entails improving the competitiveness of the economy, so that output per employee is higher, and this would be reflected in higher real wages. The challenge remains as to how does a government improve the competitiveness of the economy? In order to drive competitiveness, it is necessary for economic resources to be diverted into activities that optimise output per worker. This requires a shift of economic activity into sectors where Sri Lanka is globally competitive and move out of sectors where we cannot compete. In agriculture for instance we all know that approximately 30% of the labour force accounts for around 9% of GDP. By “protecting” uncompetitive agriculture, we are in effect trapping farmers in low wage economic activity. It is clear that we need to gradually shift into higher value agriculture in order to improve output per farmer, and thus income per farmer. To get there we need investment and technology – both FDI and domestic private investment. This same principle applies to all economic sectors; many of which are uncompetitive but have been protected, stifling competition, innovation, and real wage growth, whilst imposing high costs of protection on consumers. 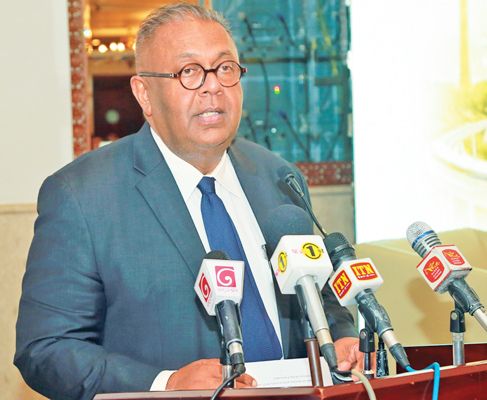 It is in this context that the government has embarked on a shift in the economic trajectory of Sri Lanka from a protected domestic market driven economy, to a more outward oriented economy. The future of our economic growth must be through exports, entrepreneurship, FDI, and private enterprise. Sri Lanka needs private investment creating jobs in globally competitive sectors. We have in the past been successful in sectors such as apparel and ICT, but this needs to be expanded in many more sectors. In order to unlock the potential of the economy we are implementing an economic programme that includes gradual liberalisation of the economy to attract private investment and instil more competition, but whilst providing a safety net for those adversely affected by competition. Whilst gradually phasing out para-tariffs to encourage competition and reduce cost of living, we have already passed anti-dumping and safeguards legislation to protect against unfair trade practices. The government has also designed a Trade Adjustment Programme that will provide the tools to re-skill workers and provide concessionary finance to help firms affected by competition to enhance their competitiveness. At the same time a series of trade agreements are being negotiated to enhance market access to attract investment into sectors of higher productivity, taking advantage of Sri Lanka’s strategic geographic location. The EU GSP + has already provided a major boost to export market access, and the ongoing negotiations with India, and China, will further strengthen our country as an investment destination. Leveraging the trade-investment nexus will enable Sri Lanka to create high value jobs and attract technology to drive productivity growth and real wage growth for citizens. In addition to enabling market access, it is also essential to address the supply side bottlenecks for investors. 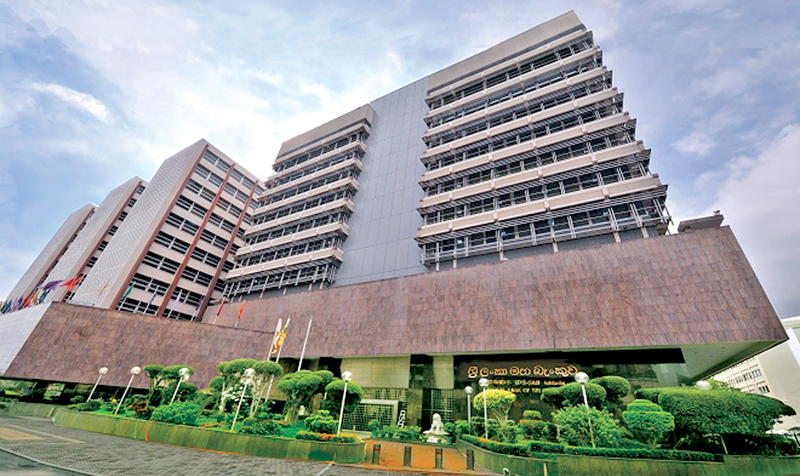 Significant steps have been taken to improve the ease of doing business in Sri Lanka, particularly through the use of technology in administrative processes. Last week the online construction permit platform was launched, significantly cutting down the time and cost to obtain construction permits. The online company registration platform was implemented to register a company within 24 hours. All of these measures will significantly reduce investment costs. We have undertaken crucial reforms to entrench long term macroeconomic stability. Fiscal stabilisation has historically been a major challenge for Sri Lanka. The passage of the Inland Revenue Act and the introduction of market-based fuel pricing are major steps in terms of improving fiscal sustainability. In 2017 we achieved a primary surplus in the budget for the first time in several decades. The results of this fiscal improvement are already materialising with interest rates beginning to moderate as the 1 year Treasury bill yield has declined by 60 basis points in the last two months. Our exports hit an all-time high in 2017, as did FDI. Foreign reserves also reached comfortable levels in spite of rising global interest rates, whilst inflation is within the target ranges. Thus, it is clear that the government has successfully navigated the macro-economy into calm, stable waters, in spite of precarious global conditions and onerous external debt obligations. Whilst acknowledging our gains, in the short term the clear priority is for the government to take measures to kick start economic growth. It is in this context that we have accelerated two key programmes – “Enterprise Sri Lanka” and “Gamperaliya”, which can have a transformational impact on both rural and urban economies. Enterprise Sri Lanka provides a range of targeted interest subsidies to stimulate economic activity through private investment and boosting small business. Gamperaliya will infuse life into the rural economy through a rapid public investment programme for rural infrastructure, which will help the recovery from setbacks in two successive years of drought. Despite creating a conducive economic environment; a country will never truly develop without investing in its people – our greatest resource. This government has prioritised spending on education and health services. Expenditure on education, higher education, skills and vocational training reached 2% of GDP in 2017 and will be 2.1% of GDP in 2018. Expenditure on health was 1.55% of GDP in 2017 and will be 1.69% of GDP this year. Such expenditure on social infrastructure may not be visible like a mega project– but it has a meaningful impact on the well-being of people. As a government that strongly believes in international partnerships, not isolation, we have pledged to achieve the United Nations Sustainable Development goals by 2030, in order to realise the full potential of our entire population. Every citizen in this country will become a shareholder of the knowledge based, highly competitive social market economy that has been envisaged in our Vision 2025 policy document. It is therefore clear that this government has not taken the easy short cuts towards populist economic interventions that can provide short term benefits but leads to long term pain. We have inherited the adverse effects of such myopic policies implemented in the past but chose not to tread the same path. A set of well thought out measures are being implemented to provide a sustainable, long term solution to the development needs of Sri Lanka. The benefits of these reforms may not fully materialize immediately, but with the combined efforts of all stakeholders, we have the opportunity to collectively build a strong, sustainable and equitable economy and society.